Home » Nutrition , Workouts » Eating after a Workout : Good or Bad ! Eating after a Workout : Good or Bad ! I have met a number of people who have their own beliefs about eating after a workout session, but none have of them any scientific explanation. Some believe that its good to eat after a workout session, while some believe that its better to wait for an hour. The very first thing that i believe after writing so many articles for betterhealthfacts.com is that you should not believe any thing just because others are doing that. Others may be wrong ! So try to find the real facts and scientific explanation about that belief. You may find something that is better than your belief. It can be good or it can be bad. It depends on what you are eating. But before we go to what to eat, we should know about the the science behind it. After a workout session, the glycogen stores of our muscles are depleted and if we eat anything at that time then the calories will be used to fill those glycogen stores instead of turning it into fat. After a workout session our muscles are in more need of glycogen than any other time. But what we eat matters at that time. A fat-rich diet diet is lesser useful at that time than a protein-carb rich diet. Carbohydrates are used to fill the glycogen stores, while protein is used to repair and build the muscles. But fat don't fulfill any of these purpose, instead it needs more energy from body to digest it. So choose what you eat after a workout session keeping this simple science in mind. Proteins, Carbohydrates and a little sugar can do some good to you at that time, while fats can do the opposite. If there is little amount of hidden fat in that diet then it will do no harm to your body. 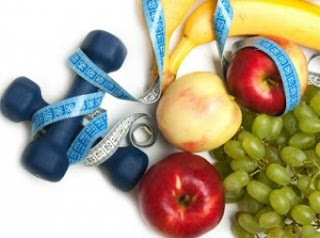 Why you should have a diet after workout session ? If we don't eat anything after a workout session for 2 hours, then gradually our muscles ability to fill the glycogen stores decreases up to 50 percent. If you are doing heavy weight workout and neglecting the demands of your body then you are doing more harm to your body than any benefits. If you are not taking necessary diet after a workout then the micro damage to your body muscles are not repaired due to absence of necessary proteins. Further damage can occur to your muscles in absence of such diet. Our blood sugar is lowered after a workout session and diet can easily set it to desired level. Our body releases a lot of calcium and potassium with the sweat during a workout. Calcium and potassium salts are necessary electrolytes which helps in normal function of nervous system. Getting these salts through a diet fills the necessary salts back into our body and make it function normally. Water is also a necessary part of your diet and saves you from dehydration. Now you know what to eat after a workout. A good diet repairs your damaged muscles, fills the glycogen stores and saves your body from any possible further damage. So don't skip a post workout diet and make your workout do something good to your body.